A signal, a vibrational pulse, produced by honeybees is a signal known since the 1950s according to an article by Sam Wong in the New Scientist (2/14/2017). It has been long thought a way that bees tell other bees to cease and desist--a warning to their "colleagues against foraging in a location where there might be problems, such as a predator or a researcher bothering the bees for an experiment." These sounds cannot be heard directly by us. 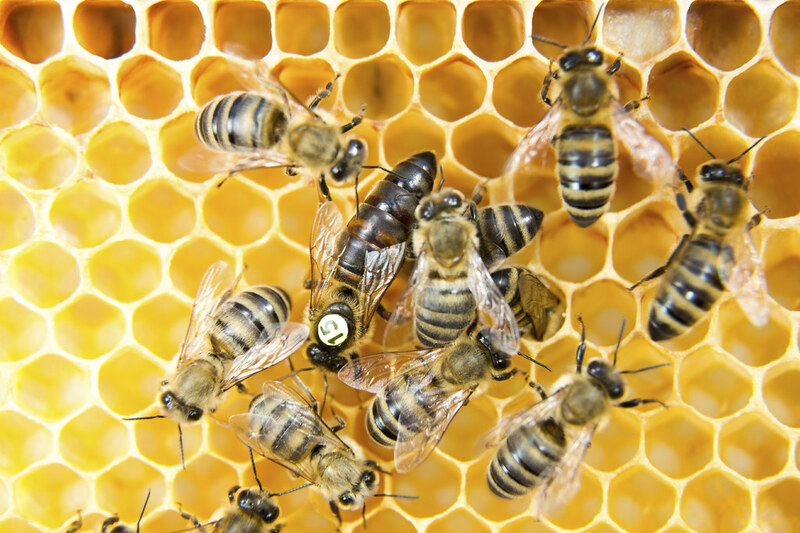 Research led by Dr. Martin Bencsik of Nottingham Trent University (UK) resulted in a new interpretation, that the bees are expressing surprise. The Bencsik team installed accelerometers in beehives to "record vibrations inside hives over the course of a year. Then they used software to scan the recordings and identify the signal." The researchers found that the signal is surprisingly common, occurs mostly at night and "what's more, the signal is easy to elicit from hundreds of bees en masse just by knocking gently on the wooden wall of the hive." The research group has proposed "that instead of the 'stop' signal, it should be called the 'whooping' signal." For more details see Mr. Wong's original essay which includes the sounds, a short video, and a potential application, namely judging the health of the colony.